Parents have issued a warning after a man attempted to lure a teenage girl into a car at the weekend. 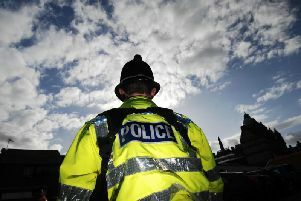 A warning has gone out to parents in Burnley to be on their guard after a teenage girl was approached by a man and told to get in a car. The incident happened on Saturday night in Lakeland Way, Ightenhill, at 8-30pm. The 13-year-old was approached by an Asian man in a black car who called her "baby girl" and told her to get in the vehicle. The girl ran home and reported the incident to her parents who put out a warning on social media and reported the incident to the police. A spokesman for Lancashire Police said they were aware of the incident and looking into it.